A historic theater in Memphis, Tenn. is canceling showings of Gone With the Wind because it has been judged too "insensitive" to viewers. "While title selections for the series are typically made in the spring of each year, the Orpheum has made this determination early in response to specific inquiries from patrons," read a statement from The Orpheum Theatre Group. "The Orpheum appreciates feedback on its programming from all members of the mid-south community. The recent screening of Gone With the Wind at the Orpheum on Friday, August 11, 2017, generated numerous comments. The Orpheum carefully reviewed all of them." The statement continued, "As an organization whose stated mission is to ‘entertain, educate and enlighten the communities it serves,’ the Orpheum cannot show a film that is insensitive to a large segment of its local population." 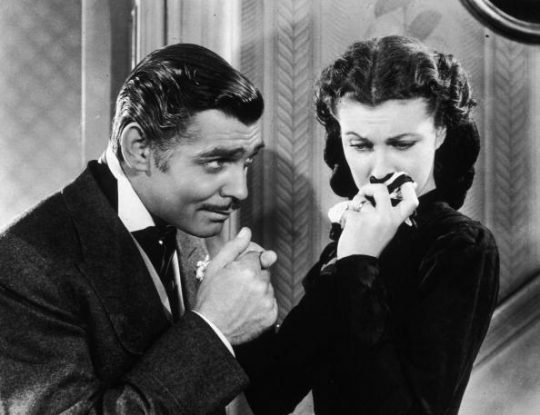 Gone With The Wind was made in 1939 and was adapted from the 1936 Margaret Mitchell novel. The epic tells the story of Scarlett O'Hara, the daughter of a Georgia plantation owner, during the Civil War and Reconstruction. The movie has been criticized for glorifying slavery and presenting a romanticized view of the Confederacy. The cancellation of the screening comes against the backdrop of the recent white supremacist violence in Charlottesville, Va., and a wider national debate about whether to remove public monuments to Confederate figures. The movie won eight Academy Awards, including Best Picture, and when adjusted for inflation, it is the most commercially successful film in American history. Also, Hattie McDaniel became the first African-American actress to win an Oscar for her portrayal of Mammy. This entry was posted in Culture and tagged Charlottesville. Bookmark the permalink.